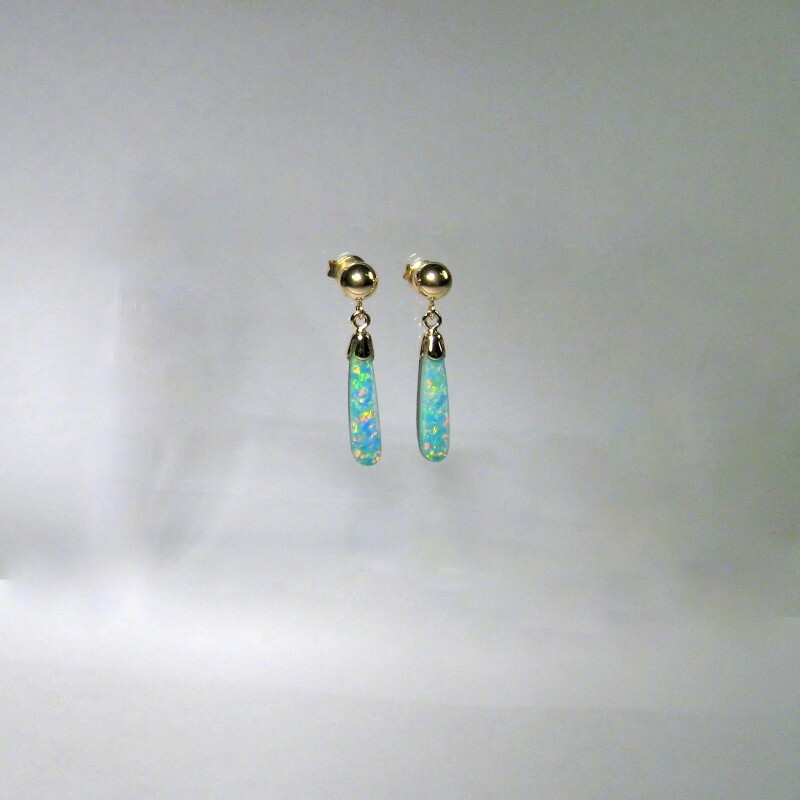 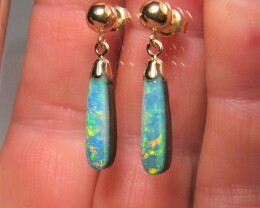 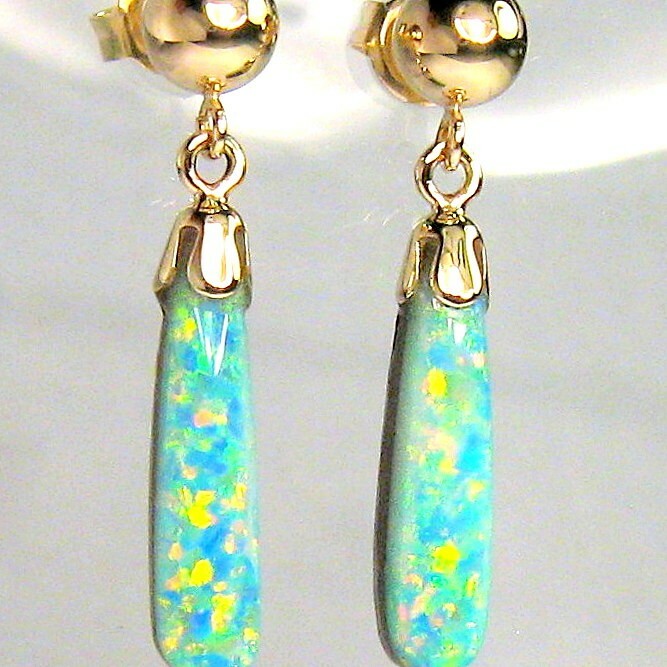 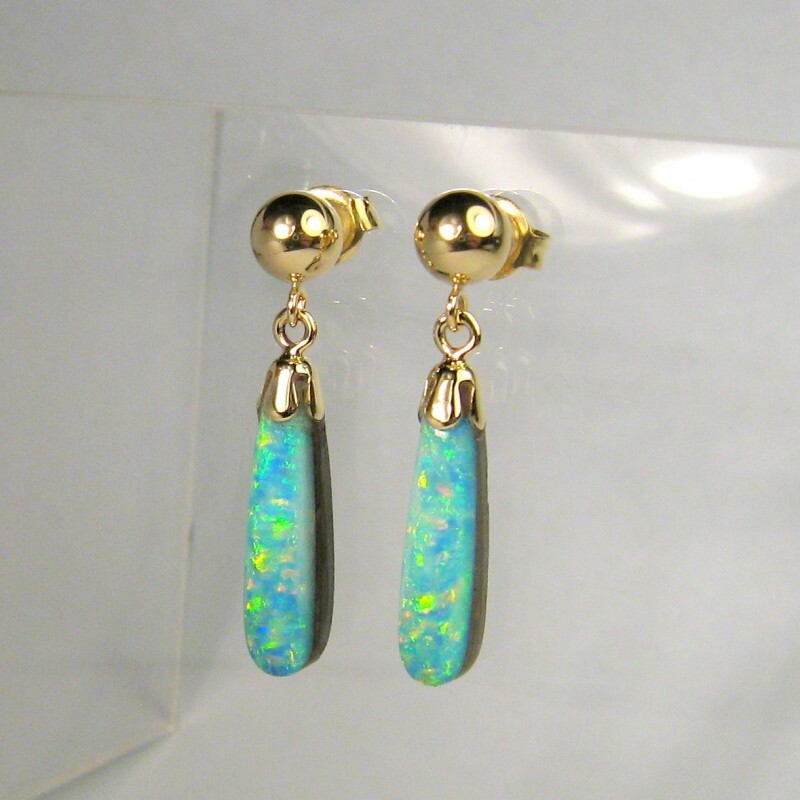 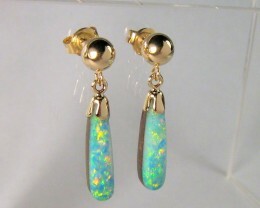 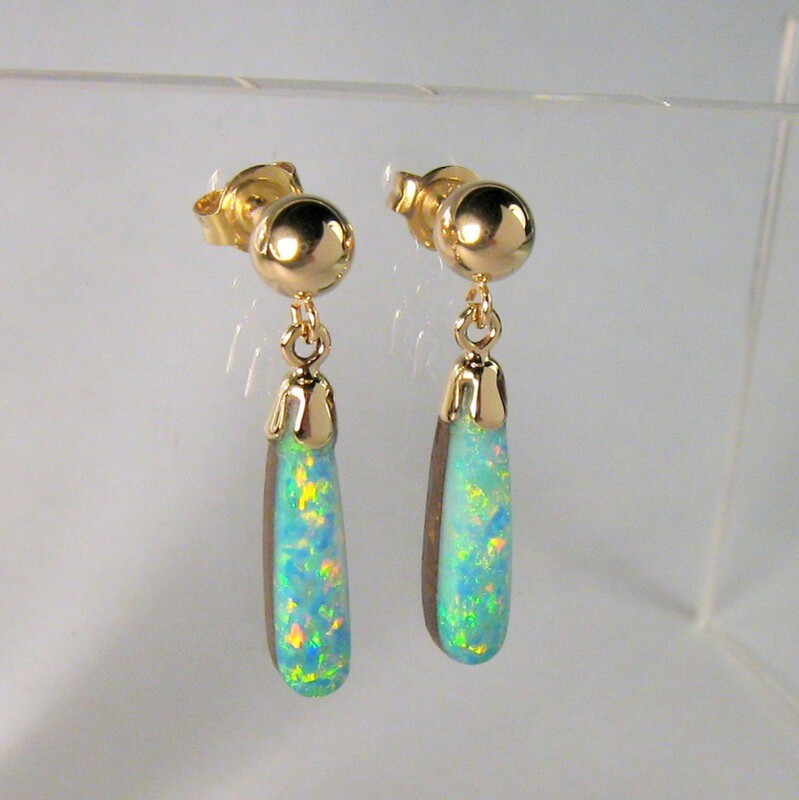 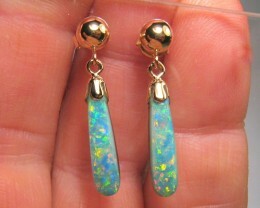 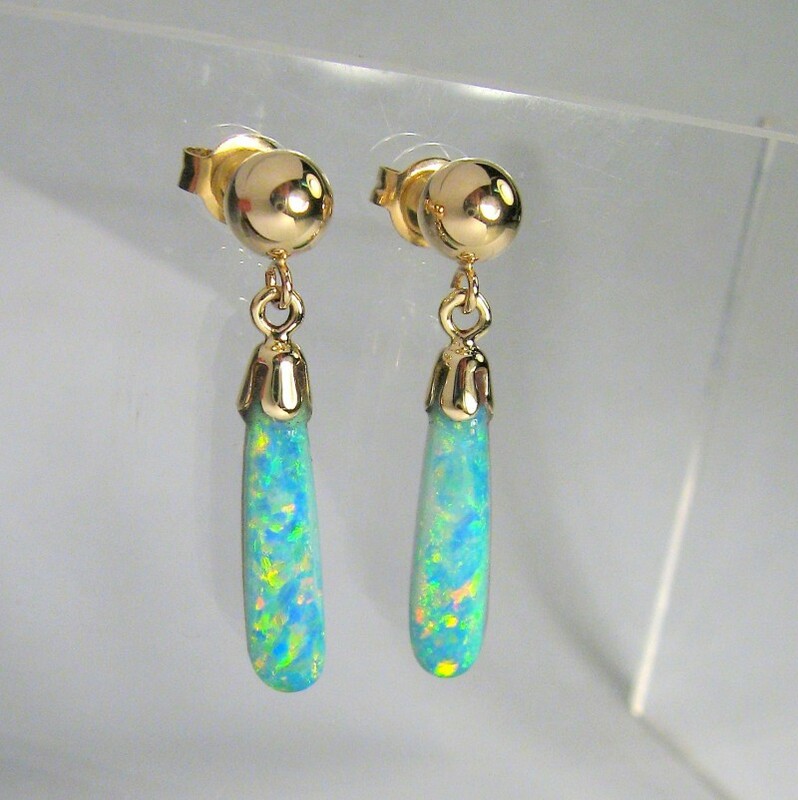 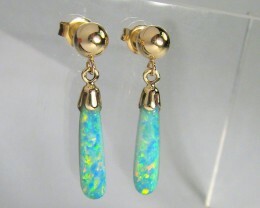 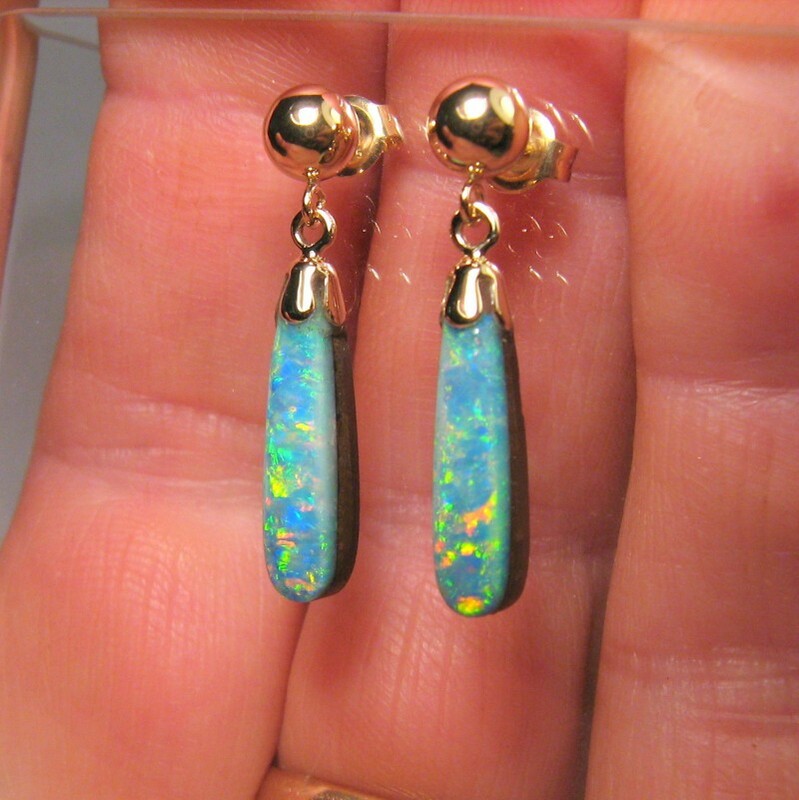 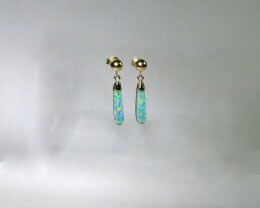 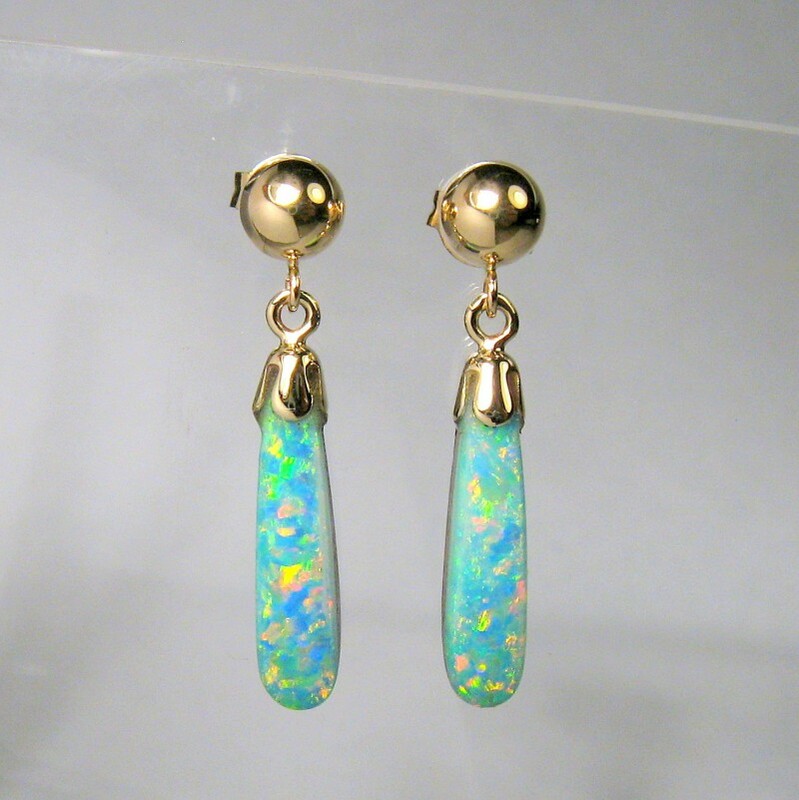 These genuine, natural Australian opal doublet earrings have been created with gem quality Coober Pedy (Opal Valley field) opal, Queensland opal boulder ironstone backing and solid 14 karat gold bell caps and ball studs. 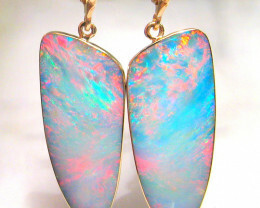 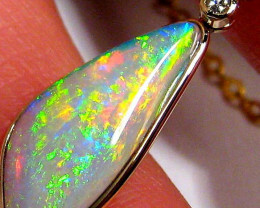 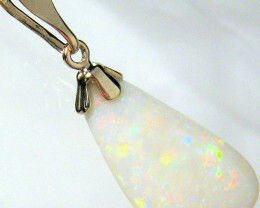 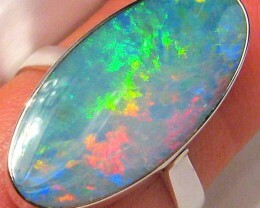 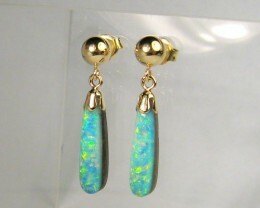 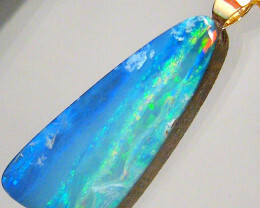 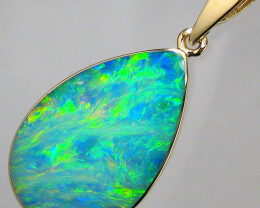 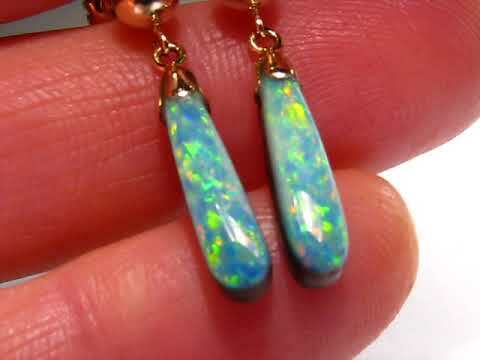 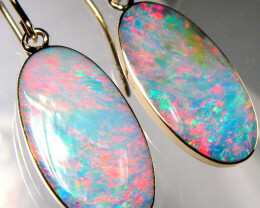 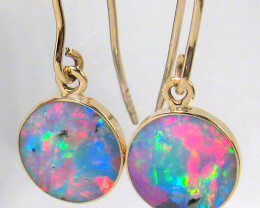 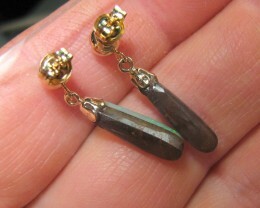 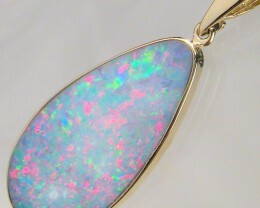 A unique and rare pair that would make a beautiful gift or accessories for any opal lover! 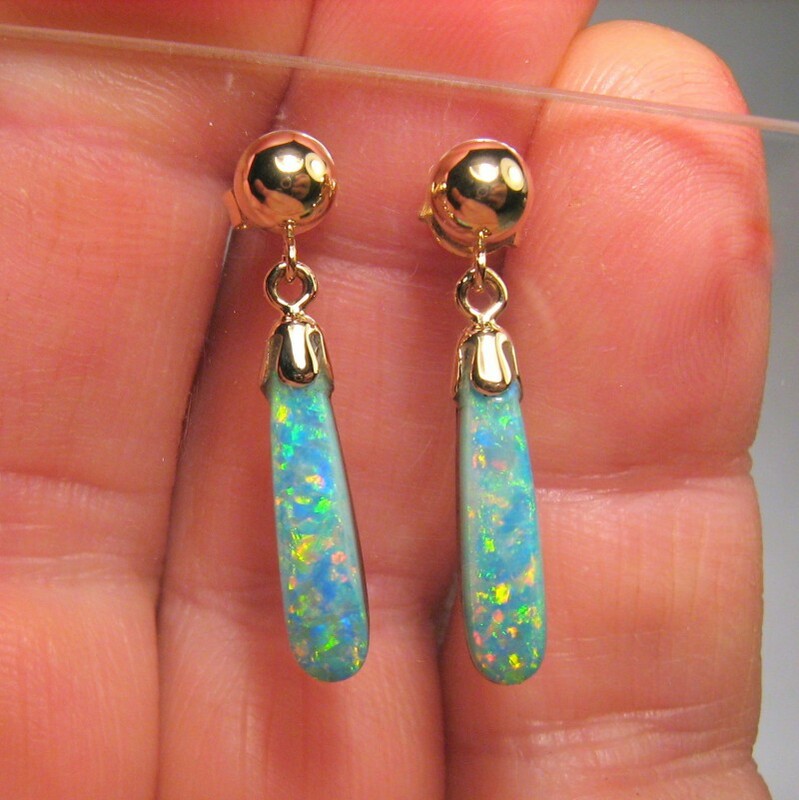 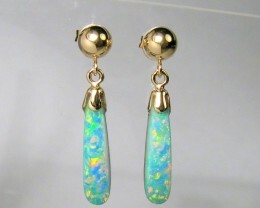 The gem opal in these quality earrings (around 2 carats total) would retail for around $325 per carat making a natural gem earring pair like this hard to find for less than around $750 retail. 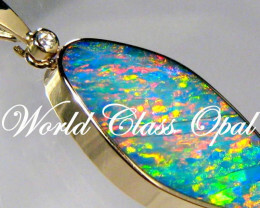 World Class Opal are second generation, trade certified (Certificate 3 in opal industries practices) and have over 25 years of experience in mining, cutting, jewelry manufacture and wholesaling rough opal, cut opal and jewelry. 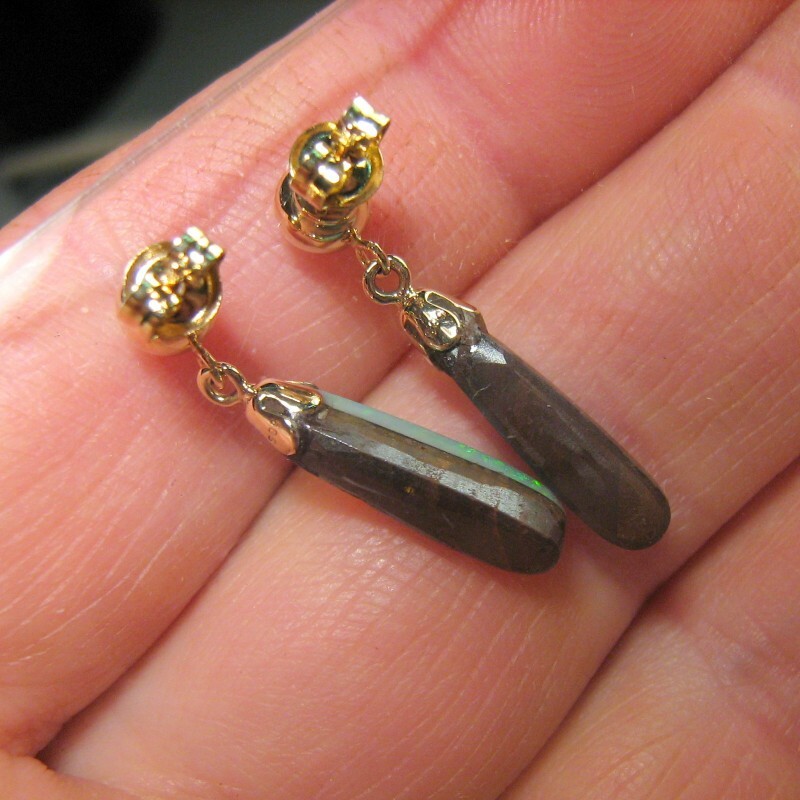 DIMENSIONS: 17 mm long by 4 mm wide by 4 mm thick (doublet and bell cap only) A whole earring including ball stud is around 26 mm long. 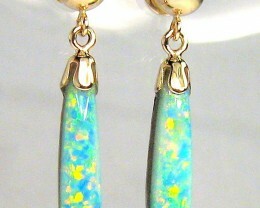 BRIGHTNESS: A beautiful, multiclolor tight floral pattern 4 out of of 5 all over.